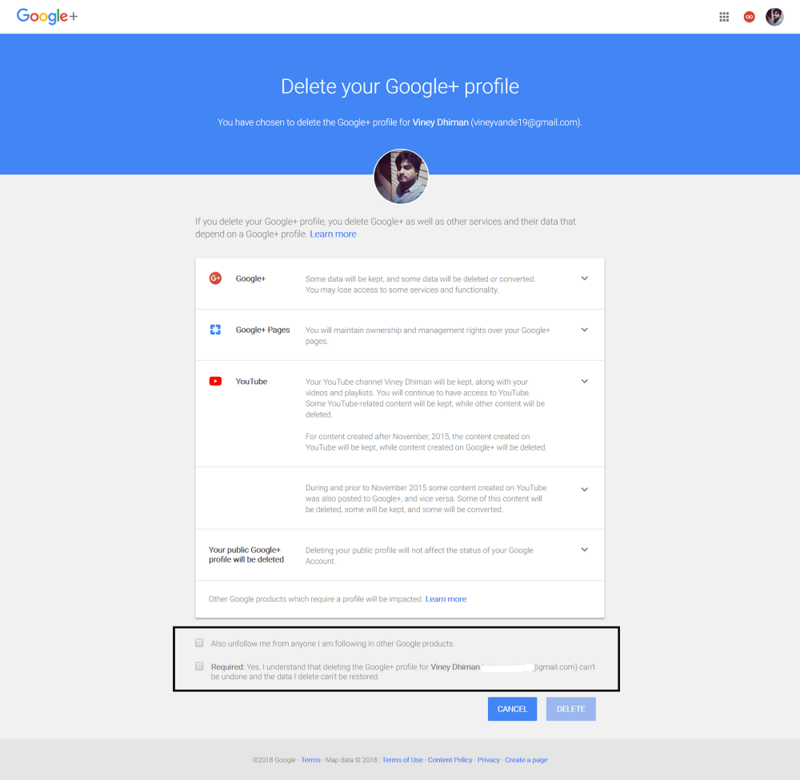 Want to delete your Google Plus account permanently without deleting Gmail? The blog has step by step instructions on how to do that. 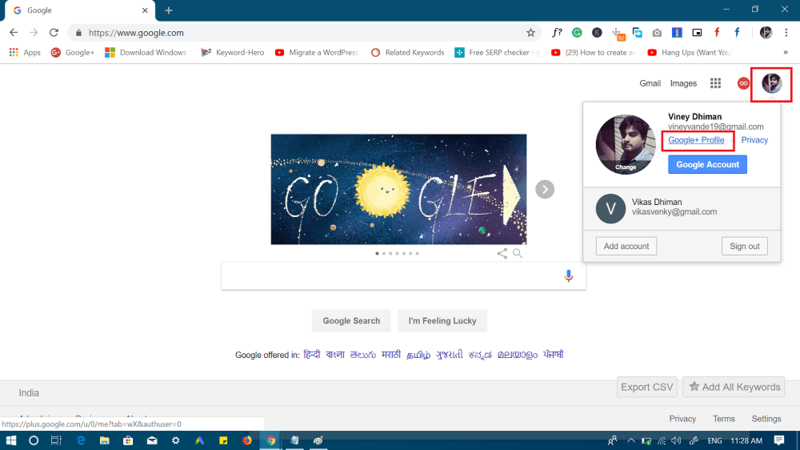 Google recently announced the sunset of its social networking service Google Plus (Google+) before August 2019. The company has decided to take this steps because of the security glitch that exposed the personal data of the 500,000 between 2015 and 2018. Due to this personal information like Name, Email, Phone number, Birthday and even more close information is vulnerable. Due to this reason, the company has decided to shut down Google Plus, alternative to social networking site Facebook. The process of deletion will take more than a year. 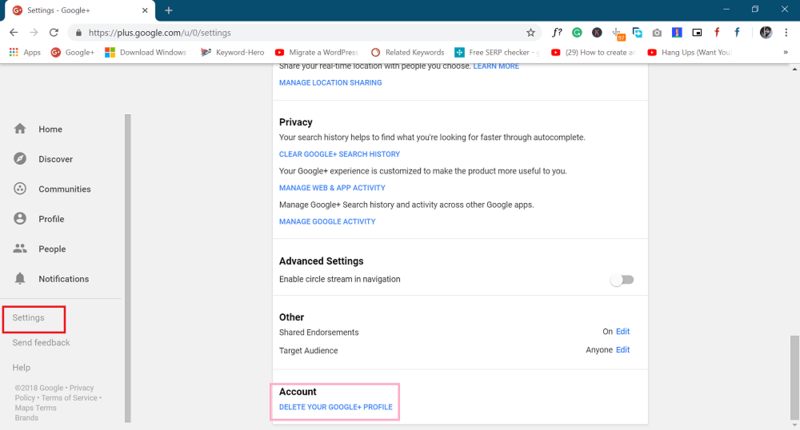 Before you starting following steps to delete Google Plus account permanently, it is important to backup Google Plus data which includes pictures, videos and related. You can visit this Google support page to find out detailed instructions. All chat content in Google Hangouts, and Gmail. Next, click on the Profile picture icon available on the upper right corner and then click on the link “Google + Profile“. This will take you to Google Plus account associated with google account. On the Profile page, you need to click on the ‘Settings‘ link available on the bottom left side of the screen. You will be asked to enter your password just confirm your action. After this, you will be redirected to Google+ Downgrade page. You can also directly visit the same page to avoid above steps. On the page, you will find complete information about what you will lose and what will be still available after account deletion. Simply check the option for both available at the bottom and press Delete button. Is it possible to restore Google Plus account? Answer is No, This is permanent solition. 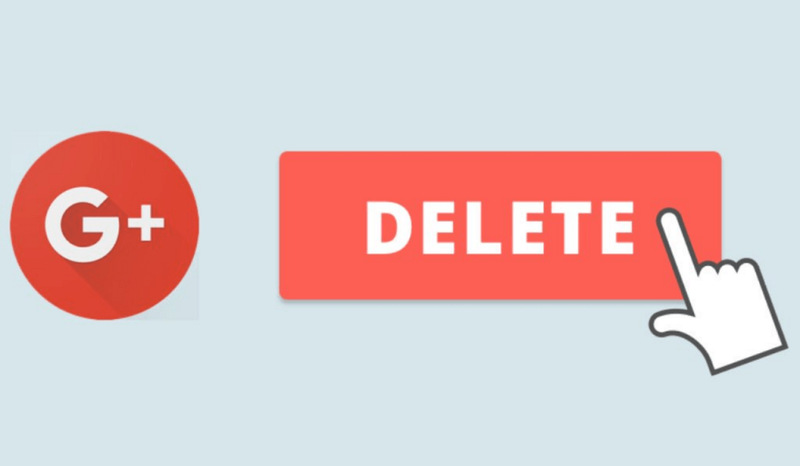 I hope you find this tutorial on how to delete Google Plus account. What are your thoughts about Google’s shutdown of Google Plus, let me know in the comments.